Plums are a fruit that gives more play in the kitchen, for its rich flavor, by its color, by contributing juiciness… Taking advantage of the fantastic plum that we have today in the market, last weekend I prepared this cake of cheese and dried fruit filling for a family reunion and, fortunately (had not previously, anything could happen ..) came out great and we all loved. So I have no choice but to tell you and how you can do, and encourage you that you get with him sooner because I'm sure you'll love. And, Indeed!! …. With this recipe I bid you farewell for a few weeks. Time to rest, disconnect, make way for other hobbies parked a bit lately, quiet time with family, … And to what emerges! I look forward to the super charged batteries and, above all, I hope you also enjoy these days, and I wish with all my heart a great summer and a great holiday for you to go and undertake them in brief. Prepare a baking biscuits 23 cm. in diameter and lined with greased baking paper. Beat the cheese, butter, eggs, vanilla and sugar in a bowl until it forms a homogeneous mixture. We incorporate the flour, the ground almonds and hazelnuts to the above mixture and stir. We spent half of the mixture, a spoon, the mold we have prepared. Then distribute the jam, helped back of a spoon, Mix above I recommend you put, at least, six tablespoons, because I got four and “was lost” a bit stuffing). Spent last half of the mixture forming a layer on the jam. Distribute the quarterfinals of fresh plums, well washed and skin, above, and sprinkle with brown sugar. 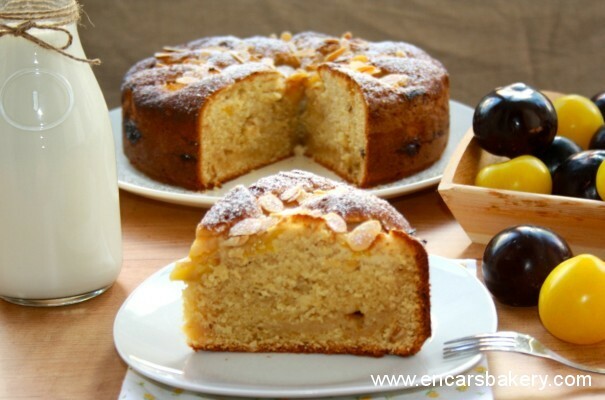 Bake the cake, in preheated oven at 180 º C, during 1 hour 15 minutes, about, until it has grown enough, has browned and plums have caramelized. See that is cooked by clicking on a stick skewer comes out clean and seeing. Once out of the oven, and after a few minutes, desmoldamos it and let cool on a rack. 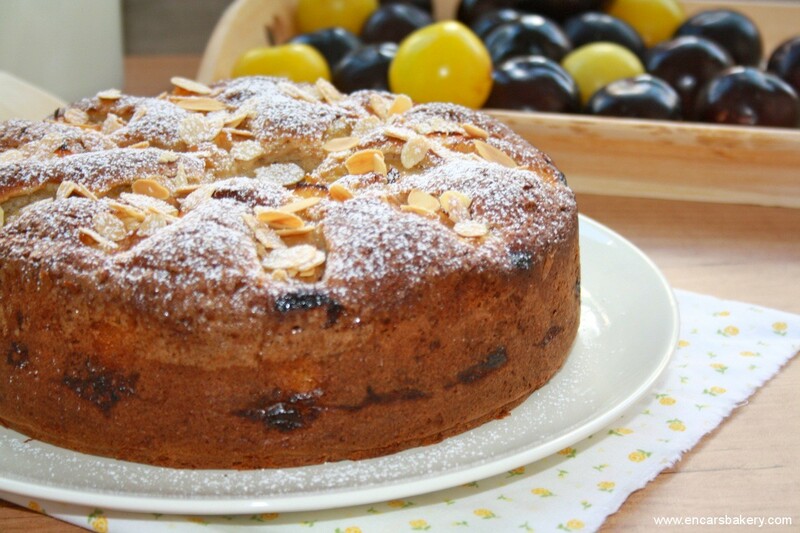 Using the heat of the oven we put a few sliced ​​almonds for a few minutes to crisp up a bit. In conclusion, decorate the cake with almonds and icing sugar. I hope you enjoyed today's recipe… See you in September !! Happy holidays Incarnation, I get your cake to your return! Maravillosooo! !You spend a nice holiday sfelices!! !SE you will miss! !Kisses and enjoy!!! As I like your cake!. Have a good holiday. See you around. Happy holidays, I'm a little bit of your cake for breakfast, you have to be really good!! Enjoy the holiday and we read it in the back. I prefer the recipe to surprise the staff. Kisses. It really looks delicious….happy holidays, rest and enjoy all you can. That has left you high and fluffy. Sure plums give much juiciness. I'm with you that the plums, besides being very rich, you get much play in the kitchen. Of course, use them in the cake had to be a great success, there is more to do the painting so rich that has. Thanks M ª José ! !, and welcome We are many blogs that it is hard to know all, but good, little by little..
Well, you also leave us with very good taste. See you around. 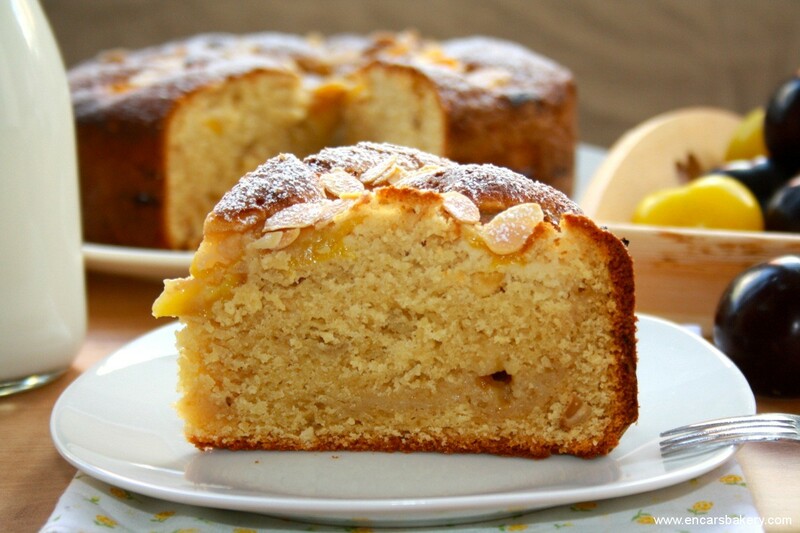 A delicious cake, juicy-looking. I have given plenty of freshly picked plums from the tree, and look how good recipe for not spoiling me. Happy holidays, enjoys well-deserved rest and your family. I is 1 month to go, y ya me tardan. See you in September. A kiss. Thanks for your comments !! 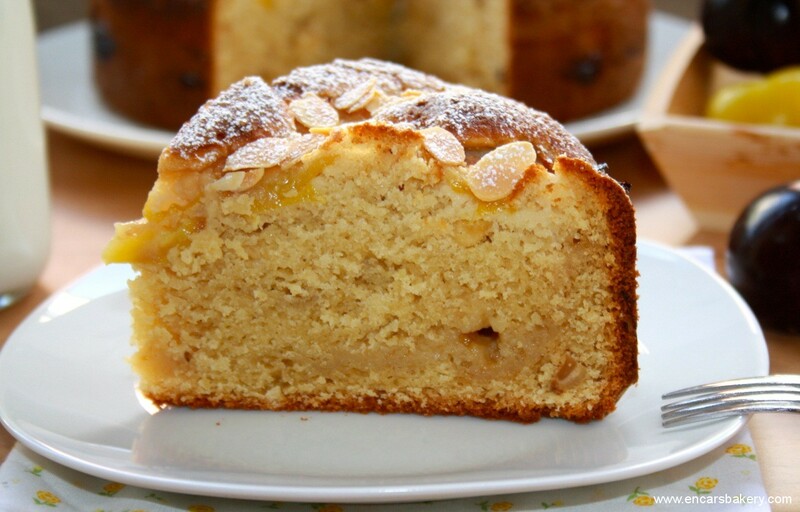 It really is a very moist and rich cake, to add to your list “usual” Now it is enjoying a break blogger, discover and record new ideas confectioneries, read the odd cookbook I have for this slope.. And around new ideas rich! I hope you have a very happy holiday and disconnect all, which sometimes is much needed. See you around, I take a piece of this wonderful cake. Expect to see a red cake and I was surprised that it is only yellow plums, sure is very good! Ooooh, but what a terrific! and what higher! You have been great and certainly very juicy with the intermediate layer of jam and plums over. Super Blunt. Encar, beautiful, This cookie looks like a divine being prepared above taking advantage of seasonal fruits. Certainly, May l have read comments that you left me you will spend a few days off for my land. I do not know that part of Murcia will come but if you stop by Eagles I love having a coffee, or whatever it takes, with you. Ya sabes mi mail, so if you decide not hesitate to email me and I give my phone to contact strategy. Besicos. I personally love everything that takes plums, sweet and salty in, I think that gives a perfect touch. But of course seeing the cutting of this cake, I can tell you I've been drooling, I just take the coffee break and did not tell you how good I had been a small piece. Spectacular! It looks delicious,I keep the recipe.